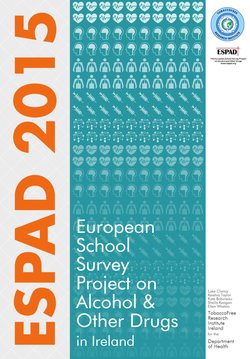 ESPAD is a collaborative effort of independent research teams in more than forty European countries and is the largest cross-national research project on adolescent substance use in the world. The overall aim with the project is to longitudinally collect comparable data on substance use among 15–16 year old students across Europe. The TFRI are acting as partners in the 2015 ESPAD data administration. The Irish ESPAD Report 2015 can be found here. The International ESPAD report 2015 (using data from across Europe) can be found here. More information on the European ESPAD project can be found here.